One of the best ways to evaluate solutions is through hands-on trials, but setting up physical or virtual appliances and configuring the software can be a time-consuming process and require multiple teams. Now, with the Infoblox DDI Test Drive, you can set up a complete Infoblox Grid in a few minutes and have three hours to experience the power of enterprise-grade DDI. The test drive runs in Amazon Web Services (AWS), is completely free and doesn’t require you to have an AWS account. The Infoblox Test Drive lets you experience how the Infoblox DDI platform manages and automates DNS and IPAM for both traditional IT infrastructure and virtualized/cloud environments. 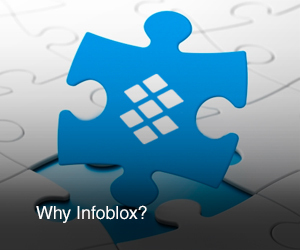 You will be able to work with the Infoblox GUI and understand how Infoblox offers centralized DDI management and visibility. The Test Drive use cases leverage AWS automation, but Infoblox DDI works in much the same way with other platforms including VMware, OpenStack, and Microsoft with rich API options. To try Test Drive now, complete the form on this page and you’ll receive detailed instructions. If you would prefer to try a virtual appliance option deployed on-premises with a 60-day license key, please visit our Download Center. Visit Infoblox DDI for AWS if you’re looking to learn how to better manage DNS and IPAM in your AWS deployment.